How To Buy The Best Smart Speaker - Which? The number of smart speakers available is growing but what can they do and which one would suit you? Here's what you need to know. A smart speaker is a speaker you can talk to. It has a voice assistant built in, which means you can tell it what to do with your voice. There is similar technology built into most smartphones – on iPhones this is Siri. Voice assistants allow you to control your speaker hands-free from across the room. So you can play and pause music, skip tracks or even tell your speaker what song or artist you would like it to play using only your voice – without even getting out your smartphone. Radio: use them as your radio by simply telling them to play your favourite radio station. Cooking: they can read you recipe instructions, you can set timers while your hands are busy, hold your shopping list on them and even order an ingredient when you run out. News, weather and travel updates: ask your smart speaker to update you on the weather, news and travel when you’re making your breakfast. Gardening: ask whether it’s going to rain, and even ask it for tips, such as when is best to plant petunias. Sport: ask for the latest football or tennis results. Bathroom: change the music track playing from the comfort of your bath. To see all models we've tested and find out how they performed in the lab, visit our smart speaker reviews. Some smart speakers, such as the Amazon Echo Plus and Amazon Echo Show, have a smart hub built in. This allows you to control smart home devices, such as smart lights, directly from your speaker. Smart speakers without smart hubs built in need to talk to the smart hub or bridge for each of your smart home devices in order to control them. This can be more expensive over time if you plan to buy lots of smart home tech, and you can end up with lots of smart hubs lying around for each item. For more on smart hubs and what they can do visit our what's a smart hub? guide or check out our advice on how to buy the best smart hub. What voice assistants are there? Just like there are many speakers to choose from, there are a growing number of voice assistants, too. Some of the most popular are Amazon’s Alexa, Google Assistant and Apple’s Siri. All of these can perform the functions outlined above and, while they all work in slightly different ways, they are very similar in what they can do. 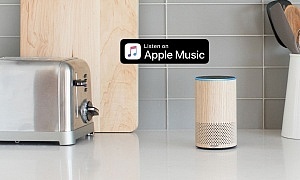 Using voice assistants is free of charge, but some services you can access through them, such as Spotify Connect for music streaming, may require a subscription. Not all smart speakers support every voice assistant, so you need to consider both the speaker and voice assistant combination that will work best for you. Each speaker integrates voice assistants in a different way. For example, some, like Amazon’s own Echo range, will give you full access to what voice assistants are capable of, such as playing radio, answering calls or controlling your smart home. Other speakers may restrict the voice assistant to controlling music alone - check what the smart speaker can do before you buy. Every assistant works best with its own company’s services, and generally doesn’t support its rivals' music streaming services. Each have a 'wake word' you use to wake the speaker up so it listens to you. How much do smart speakers cost? Smart speakers can be as cheap as £35, while some cost £300 or more. You should expect to spend around £90-£200 for a Best Buy or very good model. 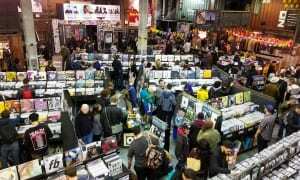 However, paying more is no guarantee of good sound quality. We’ve found poor-sounding models even at higher price points, so be sure to check out our reviews to ensure you don’t end up with a dud. If you’re looking to buy a new speaker, the hockey puck-sized Amazon Echo Dot is one of the cheapest smart speakers at around £35, closely followed by the palm-sized Google Home Mini at around £50. 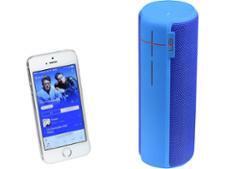 These give you the same full smart functionality as larger speakers. However, they do not produce good-quality sound. One of the cheapest smart speakers that does produce good sound is the Amazon Echo (2nd Gen) at around £90. Which brands make smart speakers? Brands that have launched smart speakers include Amazon, Apple, Google, JBL, Sonos and Sony but we expect most wireless speaker brands to make them over time. How good do smart speakers sound? Smart speakers can sound great or terrible just like any other type of speaker. Smart speakers are about providing additional convenience and functionality through voice control rather than better sound. If you have no desire to use your voice to control your speaker and don’t want the extra features voice assistants offer, they're not worth buying. If you already have an audio set-up you’re happy with, you can add a Chromecast Audio to it to easily convert it into a smart speaker - see below for more on this. Many wireless speaker ranges are currently being upgraded to smart speakers so, if you're not interested in the smart features, you may be able to pick up the great-sounding older models on the cheap as the newer smart ones come out (until remaining stocks last). In the future we expect to see the majority of speaker releases containing voice assistants and, much like with the voice assistant on your smartphone, whether you use it or not is up to you. How can you make your existing speaker set-up smart? If you already have a great set-up of traditional speakers, you don't need to completely replace them to get smart functionality - you can easily turn them into a smart speaker by connecting a small separate device called a streaming DAC. The best of these is a small hockey puck-sized device called Google Chromecast Audio, which used to be available for around £30, but has unfortunately now been discontinued - so you'll need to get it second hand. It plugs into the 3.5mm aux in or line in socket on your speakers. You can then access smart features through the Google Home app on your smartphone (available for iOS and Android). The only downside is that you can’t control it with your voice hands-free - you need to get out your smartphone to do it. There are alternatives to the Chromecast Audio, but few are as cheap and easy to set up and use. 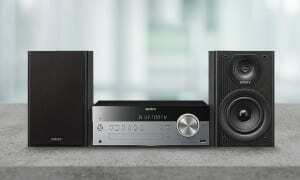 There’s the Yamaha MusicCast WXAD-10 (£119) and iFi Nano iOne (£199), but many people will balk at the price. If your hi-fi supports Bluetooth, you can also access this functionality via a Google Home Mini (£49). Another alternative is to get a simple Bluetooth adaptor you can plug into your speaker. 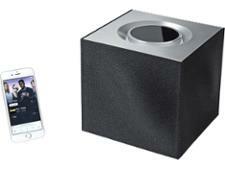 You can then connect it to your smartphone and stream audio from your phone to the speaker over Bluetooth. However, the audio quality is likely to be not as good as over wi-fi, and this will drain battery life from your phone. Also make sure you’re connected to wi-fi to avoid eating up your phone’s data allowance. Many newer speakers now have Chromecast Audio built in, which is often just called Chromecast but is different to the version that makes your TV smart. It also gives you multi-room support to link multiple speakers together into a larger setup, even between Chromecast-enabled speakers from different manufacturers. Chromecast Audio only works with the Google Assistant voice assistant. If you want to achieve this with Alexa instead, you can buy the similarly puck-sized Echo Dot speaker, switch on the mute button and use its aux-in port to plug it into your traditional speaker. You can then control your speakers through the Alexa app on your smartphone. Are there any risks with smart speakers? If you set up the additional functionality on smart speakers, there are risks even if you don’t end up using them. For example, if you set up your Amazon account on an Alexa-powered speaker with one-click purchasing enabled, it's possible that your kids could buy things using your smart speaker without your knowledge. To remove this risk, you must turn off purchasing when you set up the speaker. What are the benefits of smart speakers with large screens? This further revolution in smart speakers began with the Amazon Echo Show, which has a 7-inch touchscreen to add even more smart-speaker functionality. For example, you can ask it to play a video on YouTube showing you how to make a recipe while you cook it, or use it as a video baby monitor. When listening to music or the radio, a smart speaker with a large screen adds a new dimension by enabling you to display lyrics or album artwork and see what radio programme or song is currently playing, without needing to ask. Read more in our Amazon Echo Show review. 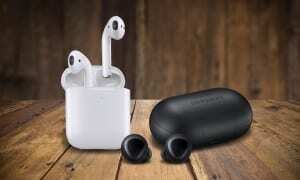 Similar products have also been released by other manufacturers. What about features like multi-room and Bluetooth? 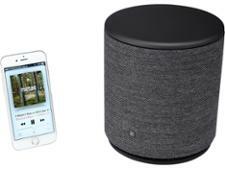 Now you know what a smart speaker is and what to look for, visit our guide on how to buy the best wireless or Bluetooth speaker to find out more about other features to consider, such as wi-fi connectivity or portability.